It’s a dinner party again and as a person who has special dietary needs, you are addressed with what to bring. You show up with one of your many variations of hummus that is your go to and by the end of the evening it has barely been touched. This has been the scenario for me many times and to be honest…I am tired of hummus! I needed a new go to and this recipe is that for me. I have not found anyone so far that hasn’t enjoyed it! 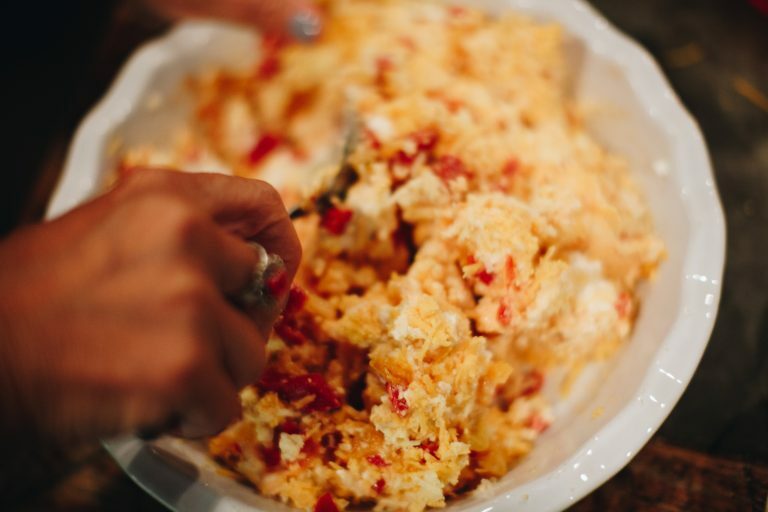 I did not grow up with pimento cheese but I sure do like it. The first recipe that I came across was in Frank Stitt’s cookbook, “The Southern Table”. It was very easy to make and I absolutely flipped. I am serious that I can eat a whole bowl in one sitting. I am not ashamed because it is just that good! 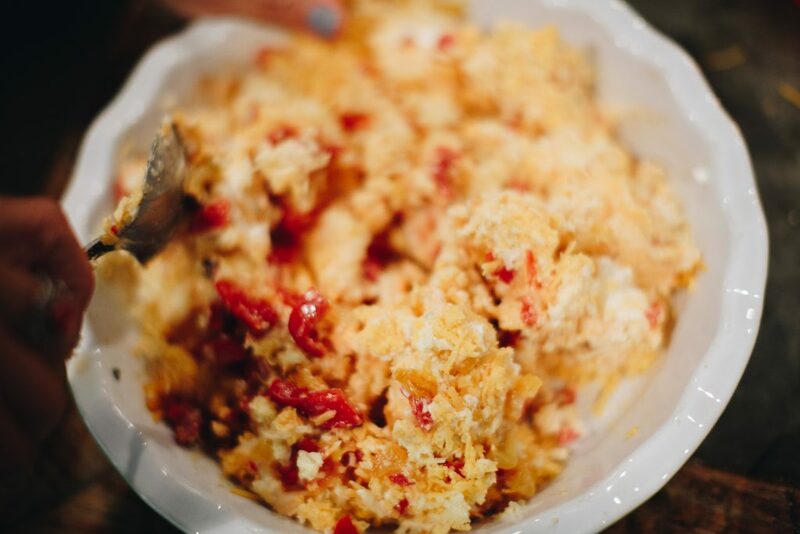 There has been a little bit of a love/hate relationship between myself and pimento cheese. The primary reason for that is because there is cheese in it!! Dairy causes me to clear my throat constantly which is uncomfortable for me and anyone around me. I found that I could tolerate some raw cheese and any goat or sheep dairy. So…I created my own recipe using three cheeses and jarred roasted bell peppers to make it less time consuming. Give this recipe a try and hopefully you will enjoy it as much as I do! 1. Remove Chevre (goat cheese) from the refrigerator and allow to come to room temperature. 2. Grate cheddar cheese with a fine grater and put in a medium bowl. 3. 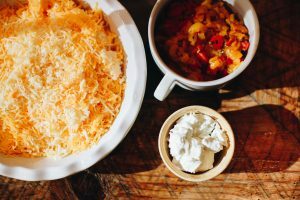 Finely chop roasted bell peppers and add to the bowl with cheese mixture. 4. Add mayo, yogurt, salt, pepper and a dash of Cholula to taste. 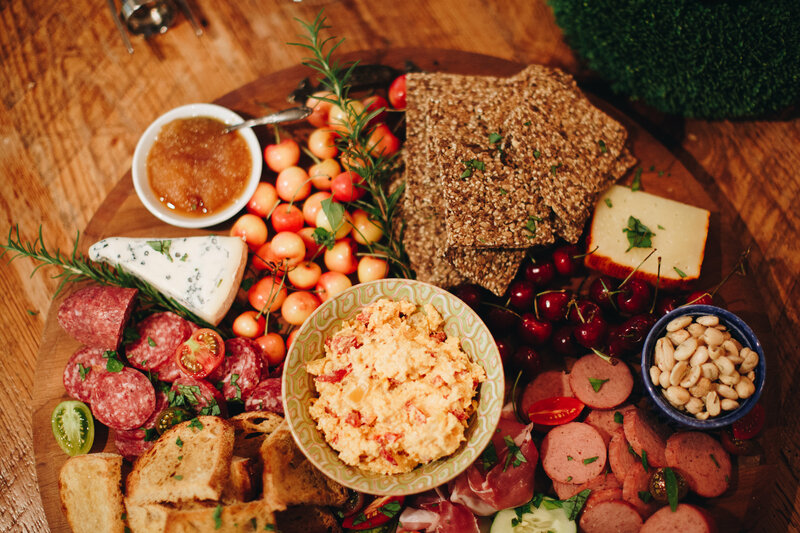 Just remember..if we end up at the same dinner party, I have dibs on bringing the pimento cheese! !